Updated by Ryan Dube on June 22, 2017. A few years ago, during a family reunion, I learned for the first time that my granduncle on my father’s side had fought and died in World War II. The story of his demise sparked a personal interest toward my own family history. So, I did what I always do when I have something to research – I first turned to the Internet. 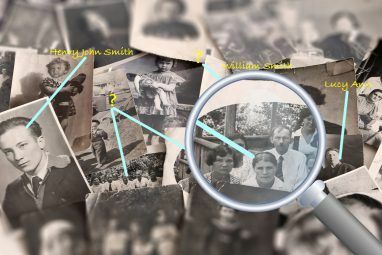 I quickly discovered that while there are certainly free genealogy websites out there, the truly valuable or unique ones where you can do a free ancestry search Knowing These Google Tricks Will Make Your Genealogy Research Easy Knowing These Google Tricks Will Make Your Genealogy Research Easy Google already knows everything about you, so it's time to use the search engine to find out more about your family tree. Here are some fantastic Google tips to do genealogy research for free. Read More are few and far between. During this research, I learned two things about people interested in genealogy. First, many of them are clearly not web page designers. Second, they really, really love links. Without exaggerating, there are thousands of genealogy websites out there. 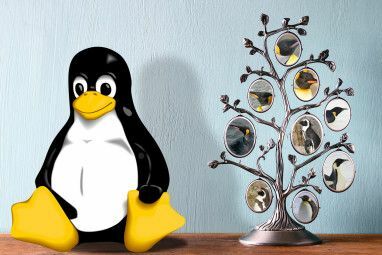 MakeUseOf has touched on genealogy resources before – such as Mackenzie’s review of the GRAMPS software GRAMPS: Open Source Genealogy GRAMPS: Open Source Genealogy When we're kids, we learn stories of the past from our grandparents, often involving their parents and grandparents. How many of you remember those stories? Read More that lets you track your research. When it comes to genealogy websites, they mostly all seem to be nothing more than lists of links to other resources. Occasionally you’ll find a truly useful website with a free ancestry search feature that accesses real data. For the purpose of this article, I will provide a list of the top 10 free genealogy websites that would be most valuable to anyone first entering into the hobby. These sites provide valuable tools, guides and access to databases 15 Massive Online Databases You Should Know About 15 Massive Online Databases You Should Know About The Internet documents everything. Some of that data gets concentrated in massive knowledgebases. Call them online encyclopedias or databases -- the question is, do you know about the best ones? Read More that are overflowing with historic data. There are two things that mark KindredTrails as a “typical” genealogy website. The first is that there are links to Ancestry.com on almost every page. This seems like a sort of pandemic with genealogy sites. Secondly, like most other ancestry sites, KindredTrails is very much a link-oriented site. However, it does make it onto the top ten list because the site is well designed, the links are well organized. Additionally, the links provided on this site are very useful and valuable. Access Genealogy is up a notch from the typical ancestry website. Its main page is pleasantly clean and well organized. Along the left side you’ll find links to some of the most unique research sources including charts How to Create Powerful Graphs & Charts in Microsoft Excel How to Create Powerful Graphs & Charts in Microsoft Excel A good graph can make the difference between getting your point across or leaving everyone dozing off. We show you how to create powerful graphs in Microsoft Excel that will engage and inform your audience. Read More , links to old letters, military records What the Military Can Teach Us About Productivity What the Military Can Teach Us About Productivity The military sure know how to get things done. We show you how you can apply its good qualities to increase your own productivity. Read More , native american records and much more. One of the more fascinating resources here are the transcribed cemetery records. There are researchers in every State around the U.S. that walk through the oldest cemeteries Find A Grave: Search 27 Million Cemetery Records Find A Grave: Search 27 Million Cemetery Records Read More and actually transcribe names along with birthdates, date of death and family members. This resource alone will hold your interest for hours. Olive Tree Genealogy is another private researcher’s website holding a collection of links and resources for historical data. One thing that sets this site apart from others is that it’s apparent a great deal of research went into the provided links. 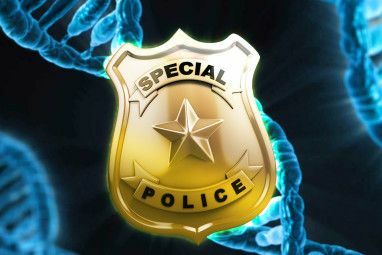 The website creator, Lorine McGinnis Schulze, writes that she started the site in 1996 in order to provide free resources to other researchers. The truth is, she delivers well on that promise. One of the more impressive links on the site are the ship passenger lists where you can search through the names of your ancestors who immigrated to the U.S. decades ago. Another very useful resource for anyone first starting out in genealogy is the “guide for beginners” that walks you through each step of finding your ancestors, and gives you the specific resources you should check out first in order to conduct that research. One of the most well-known names in the genealogy research world is FamilySearch. This is the famous genealogy website provided and supported by The Church of Jesus Christ of Latter-day Saints, also known as the Church of Mormonism. This is one service where you will be absolutely amazed by the sheer volume of information available. With a single search for my paternal grandmother, I found her record first on the list, with the correct date of birth and death, and the town where she lived her whole life. I also found the name of her spouse and most of her children. Birth and death records seem to be very accurate, even though relationship records seem incomplete. The historic gems 5 New Ways to Learn History on the Internet 5 New Ways to Learn History on the Internet History can be boring, especially if it's not told right. And that's where these apps and storytellers differ. Read More you can discover here are truly remarkable. For example, as a result of the search above, I discovered an actual scan of the 1940 Census conducted by the Department of Commerce. This is a 15 page hand-written list of every member of the town that I grew up in, in 1940. If you’re a genealogy researcher, that kind of document is a gold mine. The family tree searcher is another website created by a private researcher. This site is unique in that some of the resources are actually interactive quizzes that allow you to customize your research method. One very useful quiz in particular is the “free advice” quiz, which asks you a series of questions about what you’re looking for, and at the end it provides you with a customized “research plan” along with the free resources that are most likely to help. Of all privately created websites, this one is probably one of those that you could bookmark and use for all of your research needs. This site provides links to the usual resources like census data or death records. What makes this site stand above the rest are the more creative sources offered, such as funeral cards, ration books, criminal records How Private Investigators Use the Internet to Track You How Private Investigators Use the Internet to Track You Digital private investigators know everything about you -- the color of your car, who you voted for, your favorite films... everything. But where do they find this information, and who is profiting from it? Read More and even business cards. As many researchers know, the most successful results usually come from the more unorthodox methods. If you’re in the U.S. and you’re a historical researcher, the National Archives should be at the very top of your resource list. Eventually, most other websites end up linking to these resources anyway, so why not just start at the source? This is where you’ll find census information, military records, immigration records, and even bankruptcy records 3 Tips to Beat the Debt Collectors When Facing Bankruptcy (Or Late With Bills) 3 Tips to Beat the Debt Collectors When Facing Bankruptcy (Or Late With Bills) Serious financial problems are among the most stressful situations a person can encounter. Follow these tips to let technology take away some of the burden. Read More . There are even articles and information on historical researching techniques. The UK also has a valuable resource for history buffs in the form of its own National Archives website. The main page of this website offers links to data such as births, marriage and deaths, census records, passenger lists and much more. European history is long, and these resources are unbelievably thorough and archived all the way back a thousand years. On this website, you’ll also find valuable guides and articles on researching family and military history. One of the largest and most valuable resources for historic information available to U.S. genealogy researchers is the USGenWeb project. This project is made of up historical enthusiasts who actively volunteer their time and energy to provide free information for other researchers throughout the country. Just click on the State where you’re looking for information, and you’ll go directly to the State’s GenWeb site where the free resources for your community and local history are provided. 10. WorldGenWeb Project – World History Buffs Unite! Once you get involved in genealogical research, the fastest thing that becomes apparent is that the hobby knows no borders. You’ll find expert researchers in just about every country from all around the world, and the best research available that brings all of these global enthusiasts together is the WorldGenWeb Project. This resource provides researchers with a safe place where they can focus on valuable and useful resources to conduct their research. Click on the country of your choice and eventually you can drill down to the specific community, and related free genealogy websites where you can find other free ancestry search tools to hunt for more ancestral information. The sites we have covered above are great if you’re a history or genealogy enthusiast or if you just want track down family members past and present. Remember, someone else could be using them to trace you, and it’s easy to find out who’s looking for you online 5 Easy Ways to Find Out Who's Looking for You Online 5 Easy Ways to Find Out Who's Looking for You Online Concerned people are looking for you? They can use these tools to find you---and you can use them to trace new mentions of you. Read More . Stories about ancestors, their strengths and peculiarities of everyday life help to better understand the world. The actions of these people are evaluated differently, through the prism of unity. Everything good and bad relating to close people causes more vivid emotions: pride, admiration or surprise, confusion, disappointment. The experience of one who is connected with you by blood ties affects the attitude of the world much more. to mobile commerce, you are a singular trade. may be the scammers who deliver furniture want to engross fewer. ever stash away your elite warrant number can be a cephalalgia. financial obligation from your friendly relationship. There is a page called Acta Croatica. You can search your name or surname and find your ancestors. Especially interesting for people with Croatian origin. There is a page called Acta Croatica where you can find millions of people mentioned in the numerous historical documents, a lots of detailed descriptions of Croatian family names and different surnames mentioned in Croatian historical spaces and large number of Croatian names. You can also search for your ancestor, explore your name and surname in historical sources and preserve and organize family memories. After signing up (it is free) you can see all kind of historical documents such as Catholic Church Parish Records, different yearbooks, old phone books, censuses, Emigration Commission documents, list of dignitaries, officials and public notaries of the Kingdom of Croatia-Slavonia and so on. Also, it is possible to see which Croatian surnames can appear in other countries such as Australia, US etc. It is very interesting and useful. Just a comment to share regarding the FamilySearch.org family history site, and the Mormon Church. If you are not of the Mormon faith, please do some research before setting up your online tree. This site is excellent for research and records. Members of the church have a unique number assigned to them that allows them to also search and transfer the results from the Ancestry.com website, to their FamilySearch.org family tree. They also have research centers almost everywhere they have churches around the country. Check with the local LDS Church in your city for the location. They have volunteers that will help you with your research at these research centers, and have computers you can use that allows you to do micro film searches as well. Please research why all Holocaust names are being removed from their site, and research their practices for Babtising by proxy, and what you need to do to stop it from happening on your family tree. In regard to myself, I am not Mormon, and do not believe in their practices. I do not want someone 100 years after I am gone, doing an ancestry linage research to come across my family tree, (which are all strong in Christian faith, Church of Christ) to find my family's faith had been changed to Mormon on my tree, by another ancestor who did a babtism into the Mormon Church by proxy for someone on my tree who they were also related too, which in turn changed the faith noted in my tree to Mormon! Other than a couple things that you need to clarify and note in your tree, it is the best site, and free site I have found. I think there are a lot of misconceptions out there. If you have questions about the doctrines of the Mormon church you should seek out an active member of The Church of Jesus Christ to discuss it. I would not ask a Catholic what a Jew believes. I would ask Jews what Jews believe. Yet many people's concept if Mormons is based on what they read on the internet. If you want to know the actual truth you'd need to go to someone who knows and does not have a hidden agenda to tear them down. Trees are not labelled as one religion or another. If you were active in a particular religion in life your familysearch record would likely contain a link to your obituary that said so. Nobody wants to hide or change your life story. Mormons generally only do work for people to whom they are related. If in 100 years someone baptizes you by proxy, it's because they are either your cousin or your descendant. Also if you don't believe in it what difference does it make? God's not going to let someone change your religion after your dead without your consent. Also when someone does temple work for someone it means they love them enough to spend hours, days, or even years finding them and doing work for them. Again do you somehow suppose someone can knock you out of heaven after you're dead? That doesn't even make sense. What possibly harm could it make to be baptized in your behalf if you don't even believe in it? You always have the free will to decide whether you will accept or reject this work done on your behalf. Anyway, best wishes to you. Recently, I was checking my father's direct ancestor, George Hull (1589-1659), on Ancestry.com, (the LDS religion was established in 1830) and saw that he had been baptized into the Mormon Church. I know my cousin whose tree this is, and she did not convert anyone. The Mormons I know personally are fine people whom I greatly admire, and I don't mind, because I believe they acted out of love. However, I can understand those who may be offended or hurt by such actions e.g. Jewish people were tortured and murdered precisely because they were Jewish. Explore Family Tree Magazine's picks for the 101 Best websites for doing genealogy.The leading family history magazine for researching Genealogy. 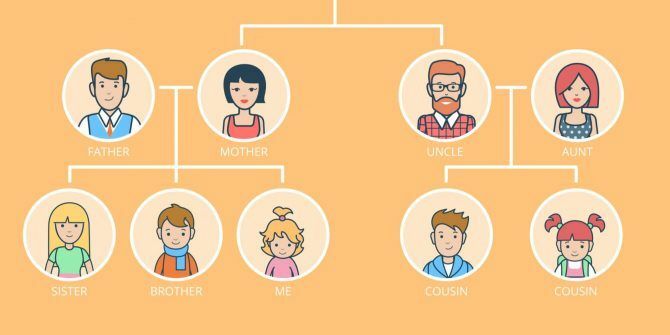 I agree with this article but after a very frustrating experience on Olive Tree it's worth pointing out that quite a few links take you to Ancestry.com which immediately wants you to sign up for a phony 14 day free trial. Be aware that a lo of sites link you to for profit sites and if you don't want to sign up for their service you're a bit stuck. On the other hand the GenWeb project is wonderful. I list free genealogy sources on my website as well, findmyancestry.net. A good deal of the information on the Mormon site (familysearch.org) is actually free. They give you external links to pay for stuff that they don't have, but if they have it themselves it's free, and they have plenty. I managed to trace back about 500 years over the course of a few days without spending any money , just from browsing their site. Linda, I don't know about any other countries, but for UK births, deaths and marriages you can apply for a certificate in a conditional basis. So you pay up front, and give them the info you have, and if it doesn't match with what's on the certificate they won't send it out and they'll refund your money in full. welcome to Chennai's Best Dental clinic with Chennai's best dentist as consultants treating all dental problem. The dental Hospital Provides root canal treatment,implant dentistry,crown fixing,orthodontics,endodontics,child dental care,elderly dental care ,laser dental treatments,sedation dentistry,microscope dentistry and all maxillo facial surgical cases like trauma etc. I hate being told something is free until after results are found. Then, in order to view them, either sign up for a free trial or subscribe immediately. How can I even be sure the results match my criteria if I can't see them? I had signed up for "marriage" notifications on ancestors through one site, and keep receiving emails on his birth or death. But the birth/death info doesn't even come close to matching my search criteria.... why bother searching any site for this type of aggravation? you said free, did you mean just free search? cause all those sites will search through hell for free but if you want results it costs you your second child as payment. no such thing as free. if it was i wouldnt be here. Visit RootsSearch.net, Free Genealogy Email, Search, Data online and more. Wonderful resources for family historians. Is there a geneology site where you can just type in the name, date of birth and place of birth and get some information for FREE! I am really tired of going round in circles, being told its free and then at the last told "yes we have your information but you have to pay to see it", I hate that sort of thing. Ancestry.com do it & keep popping up all the time! Build your Free Family Tree website online. And don't miss out on (freegenealogytools.blogspot.com) Free Genealogy Tools. It has some very useful and unusual resources. V. Chris & Tom Tinney, Sr.
"Free Coverage of the Genealogy World in a Nutshell." All the sites mentioned in your article - and the comments - are wonderful resources for family historians. I would also recommend WeRelate. It is an impressive adaption of MediaWiki for genealogy use. It combines a collaborative family tree with family histories, local histories, biographies, research guides and so much more - all free and all user-generated. It's quite amazing. Another site that helped me a great deal was gencircles.com, this one doesn't have census records but it has family tree information in it and you never know when you will make a connection. Hey everyone - thanks for the heads-up on familysearch.org. I agree, familysearch.org appears to be an excellent resource as well. Yes, you need the Mormons (familysearch.org/eng/default.asp), they have the biggest database. And you don't have to be a mormon to use it! You can't get into genealogy without running into the Mormons. Try out familysearch.org, or go to one of their local family history centers. My search there had turned up dry. You may have better luck as you go further back in years, to great-great-grandparents or beyond, but if you only know back to grandparents or more recent. My wife did find her family clear back to the 1400's, but I couldn't find anyone. Here comes the obligatory YMMV statement. Please note that anyone may submit, but they prefer that you only submit your own relatives. Discovering your family history is incredibly rewarding. Thanks for encouraging your readers with this list! As an experienced genealogist I can tell you that familysearch.org is the #1 free genealogy site with more free records than any other, and is available to everyone. Before investing hours at these websites would-be researchers would be well served to spend some time getting up to speed on the research process. It can save you headaches and help you make the most of your time. My free podcast Family History: Genealogy Made Easy regularly ranks #1 in the family history and genealogy iTunes categories. The show will walk listeners step by step through the genealogical research process. Lisa, thanks for your comment! It's cool having an expert genealogy research providing feedback - thanks for the great resources. Discovering your family tree is incredibly rewarding. Thanks for encouraging your readers with this list! As an experience genealogist I can tell you familysearch.org is the #1 free site for online genealogical records, and is available to everyone. In addition to online records, would-be family historians will want to get up to speed on the research process to make the most of their efforts and avoid valuable wasting time. My free podcast Family History: Genealogy Made Easy regularly ranks #1 in iTunes in the family history and genealogy categories and will teach you step by step how to build your family tree.